David Martinez, a Presbyterian pastor serving Camino de Vida, sings and plays music during worship. This past Pentecost Sunday, the day the church hears anew how the Spirit blew into a gathering of Christians to bless and unify them, Kelly Moore’s brand-new red stole was more than liturgical garb. It served as a sermon illustration. 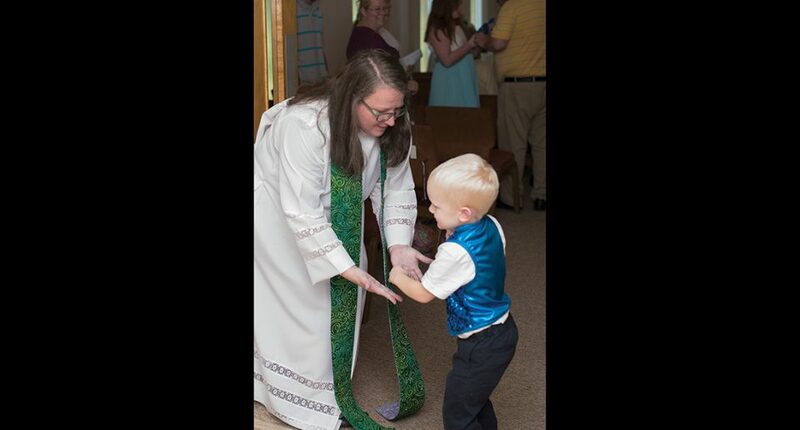 “I was talking about how excited I was that I got to wear my new red stole,” said Moore, ordained in the Moravian Church in North America and called this spring to serve Holy Cross Lutheran Church, Mocksville, N.C.
You see, Moravian clergy don’t vest for worship, and Moore loves wearing an alb with a colorful stole. “I could not wait to get to church and put it on,” she said. Appropriate for Pentecost Sunday, Moore explained, the red stole worn by a Moravian pastor in a Lutheran church is a small symbol of Christian unity present on that holy day. God’s intention for sacred community, harmony and unity is a guiding principle for our denomination’s ecumenical efforts. While the ELCA interacts with scores of churches, councils and faith groups across the globe, it has only entered into “full communion” with six denominations. These partnerships recognize strong theological commonalities and establish close relationships that allow for clergy sharing and reciprocal table fellowship (see “Characteristics of full communion,” below). It’s because of the ELCA’s 1999 full-communion relationship with the Moravian Church that Moore can serve the ELCA congregation and see the benefits. Moore also chairs the Lutheran Moravian Coordinating Committee, which brings together representatives from both denominations for yearly conversation and planning. In the 21 years since the ELCA began entering into them, full-communion partnerships have proven invaluable to its work in all sorts of ways. The partnerships have helped launch creative ministries and productive mission projects. Working together, denominational counterparts have not only been able to share information and expertise but have also developed programs and launched or revitalized congregations that blend the best of each tradition. 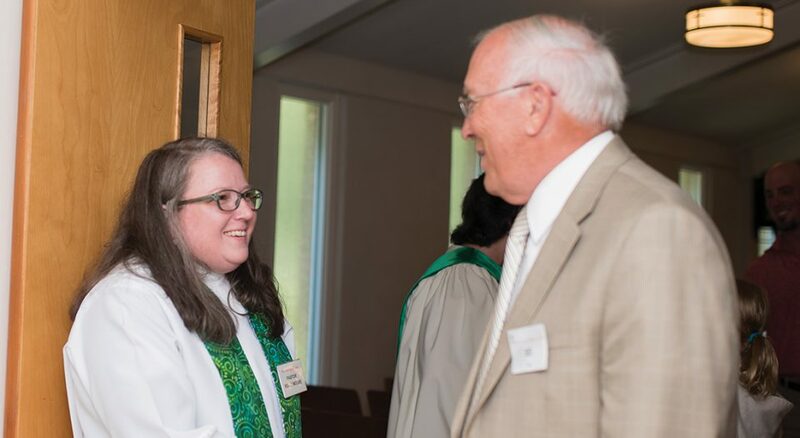 Full-communion partnerships have been a boon, especially for churches that can’t afford a full-time pastor or have trouble finding a Lutheran pastor to serve them, said Tim Smith, bishop of the North Carolina Synod, where Moore serves. Faced with struggling congregations in isolated rural communities, the synod is increasingly working with full-communion partners who are facing the same dilemma. Lutherans in North Carolina have the longest-running relationship with the Moravians, who are strong there, and they have been working extensively with the Episcopal Church. In many cases, Lutherans are working with full-communion partners to consolidate churches into a congregation whose identity is both/and—neither fully Lutheran nor the other. That’s the case with Spirit of Faith Lutheran-Methodist Church, Woonsocket, S.D. It formed as a single church after decades of being three struggling independent congregations (one Methodist and two Lutheran) that shared Rhonda Wellsandt-Zell as pastor. Each of the three congregations was just getting by. 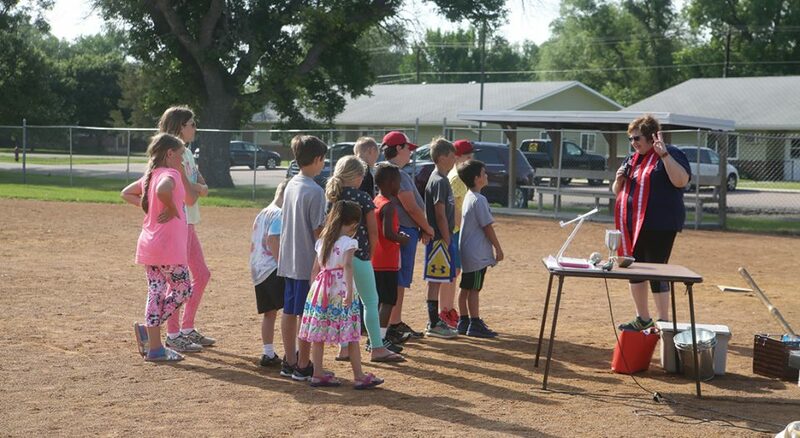 In addition to facing the expected 21st-century church challenges, they had a confusing worship schedule that rotated every week and had to shoulder the costs of maintaining three facilities in close proximity. “All three buildings were in dire need of some pretty significant repairs and renovations,” said Rachel Anderson, treasurer of Spirit of Faith. It was clear that the path was unsustainable and something had to be done. The congregations decided to live. “I said, ‘Well then, let’s get busy and live boldly!” Wellsandt-Zell added. After a period of study and prayer, one of the Lutheran churches went out on its own and the other two congregations voted to merge in 2016 to form Spirit of Faith. Envisioning a life beyond its walls, Spirit of Faith demolished its Lutheran church building and moved into the larger Methodist facility. But this spring they tore down that building too. 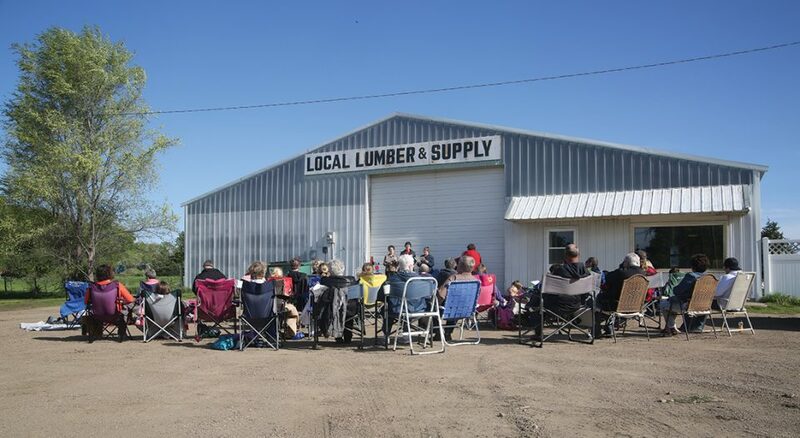 As they await this fall’s completion of a new structure suitable for ministry in the 21st century, they are meeting in community places, including a lumber yard, public pool, baseball field, courthouse lawn and nursing home. This transformation also brought them a new identity that isn’t entirely Lutheran and not entirely Methodist, but something bold and new. When new people join Spirit of Faith, they are given three options to identify themselves—as a Methodist, a Lutheran or simply Spirit of Faith. It has helped the congregation reach people who are unchurched or ambivalent about denominations. This illustrates the point that today’s people are looking more for a strong and vibrant community of faith than they are a church of a specific denomination. As a result, the old way that we measure the vitality of a church—finance and attendance—is out the window. “You should be asking, ‘What is God doing in people’s lives? How are we impacting the neighborhood? What’s happening to people’s priorities? And how are the people who are in poverty connected to this ministry?’ ” Duran said. This understanding has totally changed how the ELCA goes about starting churches. To learn how to better reach people in a changing religious landscape, the ELCA is working with its full-communion partners on the denominational level. Duran’s counterparts in mission development and church planting have culled information, together hosted workshops and trainings, and share experience and expertise. In addition to requiring more effort and creativity, today’s new congregations also take a lot more time to get established—up to 10 years, Duran said. For this reason, church planting today demands painstaking study and lots of resources. Working together, denominations can share information about specific mission neighborhoods and strategies for gathering faith communities. Most importantly, they can commit enough resources to see the projects to completion. In the Indiana-Kentucky Synod, Grace Village, a Lutheran-Episcopal campus ministry at Ball State University in Muncie, Ind., recently moved into the space of First Presbyterian Church. In North Carolina, Moravian and Lutheran women rostered ministers hold an annual retreat. United Church of the San Juans in Ridgway, Colo., formed as a federated congregation of four full-communion partners—the ELCA, the United Methodist Church, the United Church of Christ, and the Presbyterian Church (U.S.A.). “Called to Beloved Community” is an effort by Episcopalian and Lutheran bishops in Indiana to address racism. 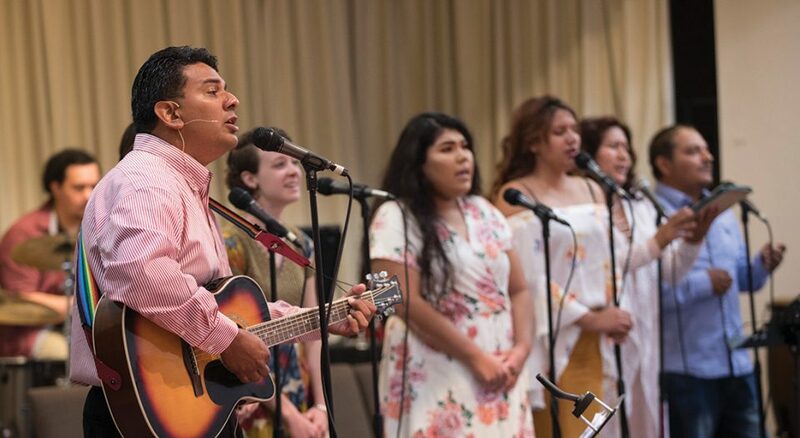 At the Rocky Mountain Synod’s New Beginnings Worshiping Community in the Denver Women’s Correctional Facility, partnership with Episcopalians enables them to offer worship in Spanish. In the Northeastern Pennsylvania Synod, ELCA pastor Tom Scornavacchi leads three Common Ground Recovery Communities, including one at St. Gabriel Episcopal Church in Douglassville, Pa. 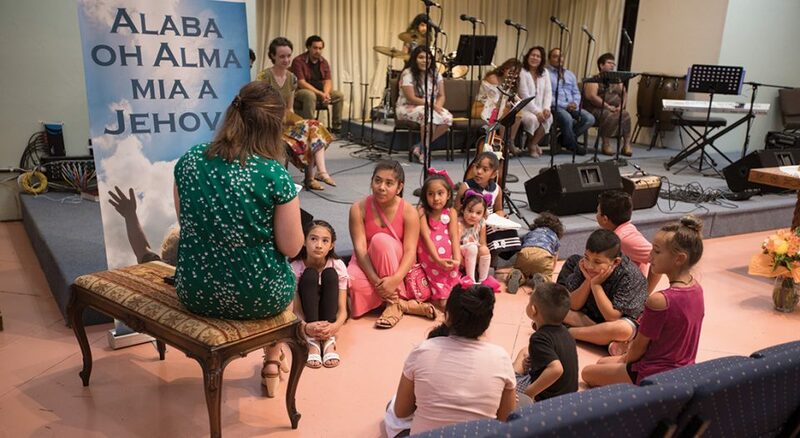 While there are no additional full-commu­nion partnerships in the immediate future, the ELCA continues to be in conversation and relationship with religious groups around the world. This has been part of the ELCA from its beginning. Just several years after the ELCA’s founding, the 1991 Churchwide Assembly approved the policy statement “A Declaration of Ecumenical Commitment,” which provides the vision for vigorous engagement with other members of God’s family. “These ecumenical partnerships, whether it’s full communion or a dialogue or discourse, or even through councils of churches, have really shaped our self-understanding,” Lohre said. As a leader in ecumenism, the ELCA will continue to reach out to partners in hopes that the results will be as fruitful as they have been so far. Common confessing of the Christian faith. Mutual recognition of baptism and a sharing of the Lord’s Supper, allowing for joint worship and an exchangeability of members. Mutual recognition and availability of ordained ministers to the service of all, subject to the disciplinary regulations of other denominations. Common commitment to evangelism, witness and service. Means of common decision-making on critical common issues of faith and life. Mutual lifting of any condemnations that exist between denominations. Our denomination is a leader in ecumenical relationships, forging strategic alliances and cooperating on mission with other Christians. The ELCA now has special full-communion partnerships with six other mainline denominations. These offer opportunities for mutual growth and development. Is your congregation taking advantage of them?